The Telugu remake of Aashiqui 2 was launched earlier today in Hyderabad. The original film, starring Aditya Roy Kapur and Shraddha Kapoor, went on to become a blockbuster and now, the makers are hoping to repeat the success in Telugu as well. 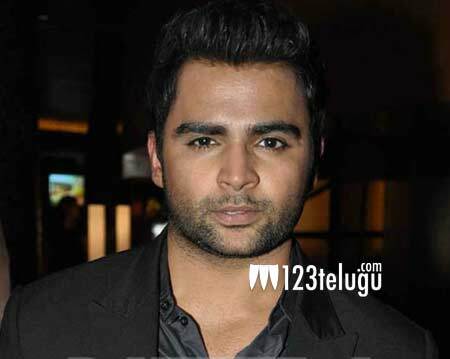 Sachin Joshi is making his comeback as a hero in Telugu after a long gap. Sanjay Dutt’s niece Naziya is playing the lead role opposite Sachin Joshi. Gemini Kiran, Jayanth and Ranjith Reddy graced the event. Bandla Ganesh is producing it whereas Jaya Ravindra is going to direct the Telugu version. “We are planning to wrap up the film in single schedule and release the film in June. The songs in Aashiqui 2 are really good and we are planning to use the same tunes in the Telugu version as well,” Bandla Ganesh said. The film will be shot in Hyderabad, Goa and Paris. Ankit Tiwari has scored the music and Chandrabose is writing the lyrics.